The largest room in every home is not defined by interior elements; but shaped by perennials and personality; seating and sunsets; loggias and living - of the outdoor kind. At Ryan Hughes, we deliver outdoor spaces that capture your personal design vision and an intimacy with the surrounding natural elements to create the ultimate in outdoor getaway and gathering places. Outdoor Living is “Redefined” as the Ryan Hughes Design team’s expert knowledge of the finest outdoor elements and years of design build experience come together in an innovative and one of a kind outdoor living space just for you. Weaving together a tapestry of water, stone and landscape, your vision is articulated through what is known as the Ryan Hughes artistry of space. Whether your vision includes the tranquil sounds of water or the captivating aura of fire, our advanced technical knowledge coupled with state-of-the-art automation systems, progressive outdoor lighting, audio-visual systems, and dynamic outdoor kitchens result in the ultimate in outdoor living experiences. For nearly two decades, Ryan Hughes has designed and built outdoor living without peer. Through custom designed pools, signature landscaping, water and fire features, his work represents more than $110 million for his clients. As the recipient of multiple industry awards, Ryan’s experience and innovation have been acknowledged within the industry as well as through international design books. Ryan has been published in such publications as the “Dream Homes Series” and “Perspectives on Design.” He is also a regular contributor to Aqua Magazine, Casual Living Magazine, Hearth and Home, Landscape Architecture Magazine, Outdoor Living Magazine and several other leading industry publications. Ryan currently holds a State of Florida Certified Pool Contractors License. His desire to create the finest outdoor living spaces and enclaves runs in the family as his father, George Hughes, a landscape industry pioneer and leader, created a platform upon which Ryan has built his own reputation of excellence. With vast experience in Pool Engineering, Pool Construction and Outdoor Living Space Project Management, Ryan’s technical knowledge is second only to his design vision and sought after creativity. As a result of world travels from an early age, Ryan’s designs incorporate international inspiration and a global perspective. These cultural experiences and architectural influences have enabled a diversity of styles evidenced in his portfolio of completed works. These impressions also are a driving force behind his passion to create the most unique, innovative swimming pools and outdoor living spaces anywhere. 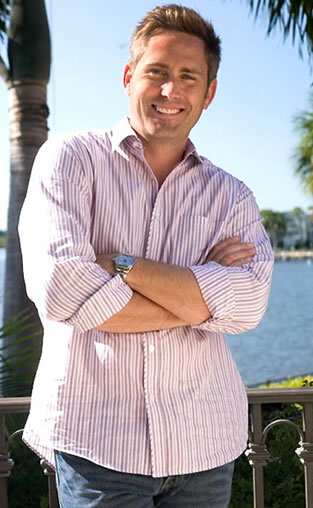 Jeff is a registered Landscape Architect with the state of Florida. He earned his Bachelor of Science degree in Landscape Architecture from Colorado State University. He’s had the privilege to travel the world designing elaborate and unique projects for nearly 20 years. 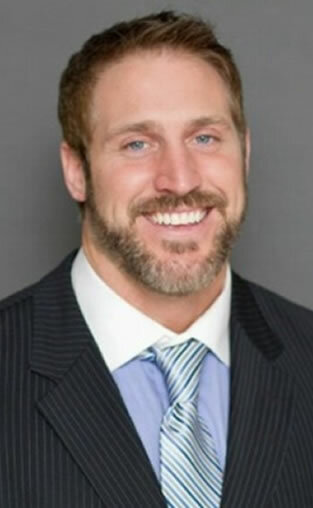 His work includes the planning and design of a multi-million dollar resort community in Sharm el Sheikh, Egypt; high end estate residences in Dubai, United Arab Emirates and Toronto, Canada; $2.5 billion master planned luxury resort community in the Bahamas with emphasis on landscape and multiple pool designs for a marina resort village. 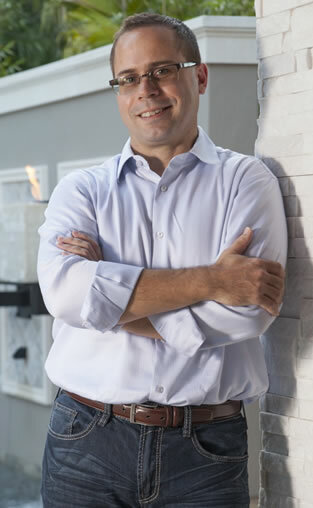 He has designed numerous award-winning communities and outdoor living spaces throughout Florida, Arizona, Colorado, North and South Carolina and Virginia. His vast knowledge of design styles and an innate attention to detail makes Jeff a valuable member of the Ryan Hughes Design Build team. Troy brings a high level of expertise in swimming pool construction to the Hughes team. In his position, Dyzak will work closely with homeowners and the Hughes construction professionals to bring about each homeowner’s vision for his or her outdoor space. He will work in coordinating all phases of the project including responding to questions and concerns, ensuring quality control on materials and work, and coordinating inspections to assure each scope of the project meets and often exceeds local and industry standards. Troy’s experience in project management includes work with large residential and commercial contracting firms. Dyzak, along with other members of the Hughes management team, currently is pursuing additional industry training within the Pool Construction Course at the GENESIS® School. This prestigious national educational program teaches, certifies, and connects the very best companies and individuals in the pool and spa industry. Dyzak hails originally from Wisconsin and is a recipient of a B.A. from Lakeland University, Plymouth, WI. He currently resides in St. Petersburg, Florida with his wife Amy and their four-legged friend, Jackson.